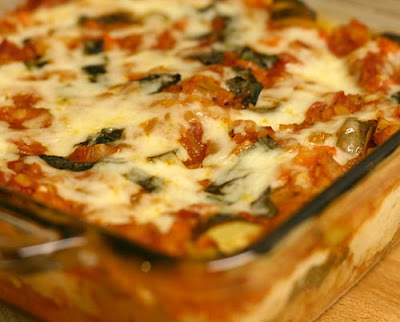 Gluten-free red lentil and vegetable lasagna/lasagne recipe - Eat this. like to try this, thank you for sharing. Oh. Wow. I think I am in love. You always make such yummy-sounding healthy dishes, but I really, really am digging this one. Lasagna/lasagne is always a treasured meal to me too, and I love the use of red lentils in here. Just...wow. This sounds very VERY delicious. The lentils caught my eye. Kathy and cookbookcooks - Thanks!! I made this recipe tonight and really loved the lentils and the fresh basil!! 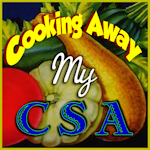 cookbookcooks - I'm so excited that you enjoyed it! This too is going on the menu. We're headed out of town for the weekend and I'm trying to talk the person we're staying with to let me try this. Her husband is a big meat guy though so we'll see. If not Saturday, this will be made Monday. I can't wait! Thank you SO much for sharing your cooking genious. Tami - I hope you can fit it in this weekend! My meat-loving family liked it, so maybe it will work with your friend's husband, too. Let me know what you think.